Nancy DeMoss Wolgemuth and Barbara Rainey join forces to talk about mentoring. Nancy, author of "Adorned," reflects on her family of origin and how she yearned to be used by God from an early age. Barbara talks about the importance of women ministering to women. Nancy and Barbara encourage older women to seek ways to engage younger women on what it means to walk with Christ. 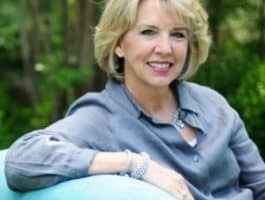 Nancy: If we’re not ministering out of some level of brokenness and humility, probably, no one is going to want to hear what we have to say because they are going to look at us and say: “You’re just this amazing woman. I could never walk with the Lord like you do.” We need to share with them, honestly: “Look, here is how I have struggled / how I do struggle. Here’s how I’m tempted, but this is how God gives me grace to deal with that,” and we’re walking together in this, as very needy pilgrims, seeking God together. Bob: This is FamilyLife Today for Monday, February 19th. Our host is Dennis Rainey; I’m Bob Lepine. Every woman is an older woman to somebody. Every woman has something she can share with younger women. We’ll talk more about that today. Stay with us. And welcome to FamilyLife Today. Thanks for joining us. It’s always nice when your wife Barbara joins us in the studio. Barbara, welcome. Bob: And it’s always nice to have an old friend back joining us as well. The only problem is—with your wife, and with our friend, and you—I’m not sure who’s going to get more mic time today; you know? This is going to be a little bit of an arm wrestle. Dennis: Bob, I’m going to move off of the soapbox. Dennis: I’m going to give our friend, Nancy—[whom] I want you to introduce, because you’ve had a big part in her radio ministry. I just thought you ought to tell our listeners a little about that and introduce her to our audience today. Bob: Well, it’s a treat to have Nancy DeMoss Wolgemuth in the studio with us. Nancy, welcome. Nancy: Thank you, Bob, and Dennis, and Barbara. Bob: Nancy was a guest on FamilyLife Today for the first time back in 1997. We talked about singleness. Do you remember? Nancy: You did. [Laughter] That’s the way it went. Bob: It was a few years later that, after a season of prayer, you sensed that maybe God was opening that door; and FamilyLife was part of helping get that launched. Revive Our Hearts is heard on more than 500 radio stations across the country, and you’ve been hosting events. In fact, next fall will be the tenth anniversary of the True Woman events. You’ll be hosting an event in the fall of ’18, and our listeners can find out more about that event if they’d like by going to our website at FamilyLifeToday.com. We’ve got information available there. Dennis: Nancy has written a book called Adorned: Living Out the Beauty of the Gospel Together. Nancy, I just want to start by just asking you for your opinion of what you see happening among women today. What do you think they are struggling with as they try to be God’s woman in the midst of this culture? Nancy: Well, that’s a big question, and there are probably as many different answers as there are women; but I can just speak for my small frame of reference here and say that the good news is that I’m finding women are hungry. They’re eager to know God better, to know His Word, to know His ways, and to find out how to be God’s women in the midst of a culture that—they’re having to swim upstream as there is confusion in our culture as to, even, what it means to be a woman—whether there is a difference between men and women and why any of that should matter. So, you’re having to be countercultural to be God’s woman today; and yet, there’s an excitement in my heart—and I think in a lot of these women—about how our lives can make a difference / can be a light in the darkness. Nancy: —but there is hope / there is grace—not only to have healing for our own hearts, but then to be used by God in other’s lives. Dennis: As I was reading your book, I found it interesting to note that this burden that you have to equip women and to disciple them, really, was placed on your heart as a young lady—as a little girl, really; right? You had that burden, early on. Nancy: I did. Well, I had a love for the Lord, and a love for His kingdom, and a desire to serve Him in whatever way He would have for me. Now, I have to confess to you that when I first started doing women’s ministry, per se, in my early 20s, I didn’t have a particular burden or heart for women. I actually kind of felt that: “If God had made me a man, maybe, I could serve Him more effectively.” I didn’t have a vision for why God made women in general / why He made me a woman in particular. —but a calling to be God’s women in this generation. So, yes, I have had a heart for Christ that, as it has unfolded, has become a heart to serve and love women. Dennis: That heart for Christ came because you grew up in a family where Jesus Christ was Lord and was modeled before you, not perfectly, but preeminently. Nancy: Right; my parents were first generation Christians. They came to know the Lord as young adults. They were pretty young in their faith when they started our family. I was born nine months and four days after my parents got married. So, they hadn’t had really much time to develop their philosophy of parenting. FamilyLife® didn’t exist, but they loved God’s Word / they loved Christ. They said, “We want a home that is built on the foundation of God’s Word.” They asked the Lord for help, and they got God’s grace to figure out how to do that. Dennis: —to be great for Jesus Christ, to love Him preeminently, to serve Him—get a mission to go for it. I don’t think we are challenging our young people to a big enough vision. Yesterday, I talked to a friend on the phone who has kind of a grandma’s camp [for her grandchildren]. She had asked a minister to come to her grandma’s camp to share stories around the campfire of both a young man and a young lady who had been challenged, early on, in their lives to make an impact for Jesus Christ. She brought that friend into her grandchildren’s lives so that they could hear about and get a vision for how a young person can really grow up to make a huge impact in their culture. Nancy: This thing about a vision for your children is so important. My parents were not content to think that we would just be well-behaved, or stay out of trouble, or be kids who could fit into this world. They wanted for themselves and for us that we would stand out—not because we were weird or odd—but because we loved Christ, loved His Word, and wanted to be used by God to make a difference in this world and in the kingdom of Christ. That didn’t mean we had to be famous, or be ministers, or Bible teachers. Nancy: Wherever we were—my dad was a businessman, but he served the Lord as a light—he and my mother. Our home was—Barbara and I have talked about this—was an embassy where we were ambassadors, and serving the Lord, and welcoming people to come and get to know Jesus. We grew up seeing that Jesus really does make a difference in our parents’ lives, and He can make a difference in ours; and God can use us wherever we end up to be instruments of blessing and grace in the lives of others. —when you think about ministering to women as a unique group, do you see that as foundational; or do you see that as kind of a subset of broader ministry? Barbara: Well, I think it’s foundational; because I think that women play such an important role—because of the family, in marriages with children—even if you don’t have children, you’re around children from time to time. I think it’s very, very crucial that women be taught and trained to have a vision for how their supposed to live and what God might want to do in their lives. I think it’s more important today than it even used to be when I was a young woman; because there is so much confusion, as Nancy was talking about, and women don’t know what they’re supposed to do and not supposed to do. I think they need teaching and guidance more than ever. —now Cru®—which FamilyLife is a part of. As Vonette was dying, in the last several weeks of her life, Robert and I went to see her. I put a phone in front of her face and said—I knew Vonette always had a burden for women and for getting women to pray. Nancy: —“if they would love Christ and get on their knees and pray for this country / for this world.” And she said, “You’ve got to tell them what a difference their lives could make.” I’ve not forgotten that conversation. Dennis: Men and women are image-bearers. Dennis: And as such, they’re to reflect who God is and what He is about, here, on planet earth. Bob: Nancy, when the Apostle Paul wrote to his ministry companion, Titus, one of the burdens on his heart for what we’re to do, as followers of Christ, was that we’re to be intentional about transferring faith from one generation to another—not casual but purposeful and intentional. That’s really at the heart of the book that you’ve just written; right? Nancy: Yes; the Book Titus—this is the storyline: Here is this fledgling church on the island of Crete. You’ve got the whole Roman government as the backdrop that hates Christians and wants to get rid of Christians. You’ve got Nero breathing down their neck, threatening to get rid of all of them. How is this little church supposed to survive, much less thrive, much less take the gospel to the world? It’s impossible! Then, he comes to Chapter 2. He says to men, to women, to older people, to younger people—to each demographic: “This is what the gospel looks like on you,”—the relational dimension there of saying, “Older women,”—now, you can decide if you are older of younger—but we’re all an older woman to somebody; and we’re all a younger woman to somebody else. I don’t think Paul was envisioning women with, you know, PowerPoint presentations and pulling out their commentaries and being formal teachers of the Word. There are some of those, and that’s great; but I think he was saying, “This is something every woman in the body of Christ is to aspire to”—to live the gospel out in practical ways that affect us in the four walls of our homes, in the ways we talk, in the ways we think. And then, we’re supposed to be passing that legacy / that baton of faith on to the women of the next generation. There is no Plan “B” for how the gospel is to go forward in our world into the next generation. Bob: Nancy, I think about that handoff that you are talking about; and I think there are some women, and some men, who are not really well-equipped to make the handoff because their holding the baton to loosely themselves. Dennis: —or they’ve dropped it. Nancy: Then, we’re all out. Nancy: Listen, we’re in this journey together. This is a relay race. We’re passing the baton from one hand to the other; and there is a point at which both hands are on that baton in that relay race. We’re not just teaching out of, “Here’s how I did this well.” We’re teaching, also, out of our failure / out of what we wish we had done differently. —he says, “Teach the younger women to love their husbands.” That’s the first qualification or the first part of this curriculum. All of us are teaching out of our own lives, with the Word of God in our hands. We’re not experts in it, but we’re getting to know it. We’re learning it together, and we’re growing together in what it looks like to live as a woman of God. They should probably pull back and cultivate a little more humility before they start talking. [Laughter] And those women, who would say, “Boy, I’m not sure I’ve got anything to share,”—they’re probably ready to share. They just need the equipping and the encouraging to move forward; right? Barbara: And what I think that illustrates, in your question, is that we all need to be led by the Holy Spirit—because if we’re listening to Him, if we’re willing to go where He sends us and to talk to the people He puts in front of us, and we’re willing to share what He has done in our lives—then, we’re probably not going to go overboard in one direction or the other. Dennis: And I want to go back to the story of the grandma who had Mimi’s Camp and brought in a minister to tell the stories to these kids. Barbara: And one interesting thing about this woman—because I know who she is—she’s divorced. She had a really painful, painful divorce experience. She could have withdrawn and said: “I don’t have anything to offer. Barbara: “I can’t do this.” Instead, she is so passionately investing in her grandchildren. Dennis: She’s on a mission. That’s what I was going to share—I was going to say, “This woman, who has got a message—that message came out of brokenness.” I mean, out of something she thought she’d never have to deal with, as a woman. I think there are probably listeners, right now, who have got their own mess. They’re wondering, “But God can’t use me.” The message you need to be hearing is that God delights in taking broken vessels and letting His light shine through those cracks in the clay pot. Nancy: That becomes part of your life message. That failure, that defeat, that disappointment becomes a stepping stone to greater fruitfulness. Listen, if we’re not ministering out of some level of brokenness and humility, probably, no one’s going to want to hear what we have to say; because they’re going to look at us and say: “You’re just this amazing woman. I could never walk with the Lord like you do.” We need to share honestly with them: “Look, here is how I have struggled / how I do struggle. Here is how I’m tempted, but this is how God gives me grace to deal with that.” We’re walking together in this, as very needy pilgrims, seeking God together. Bob: And let’s just be clear here that our walk with Christ was never intended to be a solo walk. We all need one another, and we all need to be engaged in community. You’re calling women in this book to say: “Let’s be engaged in one another’s lives,” and “Spiritual transformation is going to be impeded unless we take those steps”; right? 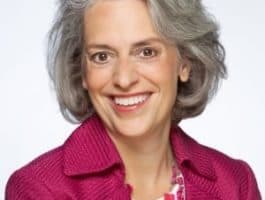 Nancy: I often tell women, “You’re not going to get your major discipleship by listening to Revive Our Hearts” on radio—or FamilyLife Today, for that matter. These women need somebody who can—who is flesh and blood; who does life with them; who walks with them; who is going to hold their hand through the messes of life; who will be there when that crisis call comes, or that husband leaves, or that prodigal child walks away from the Lord—somebody who can look them in the eyes, can love them, can encourage them, can pray with them. I can’t do that for them; you [Dennis] can’t do that for them; Barbara can’t do that for them, but Jesus can as He lives—one woman to another woman / life to life. —here’s the purpose clause of the passage—“so that being justified by His grace we might become heirs according to the hope of eternal life. The saying is trustworthy, and I want you to insist on these things, so that those who have believed in God may be careful to devote themselves to good works.” We weren’t saved just to get us into heaven. Dennis: We were redeemed to be on a mission, here, on this earth. Nancy, you mentioned it earlier—every home needs to be an embassy. Every member needs to be an ambassador of Jesus Christ. Dennis: If you walk out of your home this morning/this afternoon/tonight/or tomorrow, you’re stepping out of a threshold of an embassy of the King of kings and Lord of lords; and you’re stepping into a world that is hostile to that, but desperately needs you to be an ambassador who fulfills his assignment. Bob: You know, I imagine there are women who have been listening. As we’ve been talking about the need for this engagement and passing on spiritual truth to other women, there is something in their own heart that’s just been stirring. They are going, “Yes; I resonate with that.” They should get a copy of the book, Adorned. There may be other women, who are thinking, “I don’t know if that’s really for me or not.” They should get a copy of the book, Adorned; because this is something for all women—to invest in younger women. It’s a part of the biblical mandate. You know, our mission, here, at FamilyLife is to effectively develop godly marriages and families, which means you have to develop godly husbands and wives / godly moms and dads. Our goal is to pour into / to equip men and women to live out God’s design in their marriage and in their family. That’s the reason for this conversation today. That’s the reason for the events we host, like our Weekend to Remember® marriage getaways, like the upcoming Blended & Blessed™ Summit that we’re going to be hosting in April. It’s happening in Charlotte, North Carolina; but it’s going to be available via livestream all across the country. And when you support the ministry of FamilyLife, you help us extend the reach of this ministry. You help us take practical biblical help and hope to more people more regularly. Every dollar you invest goes into ministry outreach, and we’re grateful for those of you who have joined with us in the past. You’ve made today’s radio program available for tens of thousands of people who are joining us. And when you make a donation today, you’re going to be a part of helping extend the reach of this ministry through radio and events and all that we do, here, at FamilyLife. If you’ve listened for a long time and never made a donation, it’s easy to go online at FamilyLifeToday.com and make a donation; or call 1-800-FL-TODAY—you can donate over the phone; or if you’d like to mail your donation. You can send your check to FamilyLife Today at PO Box 7111, Little Rock, AR; and our zip code is 72223. 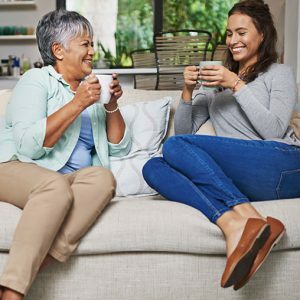 Now, tomorrow, we want to talk about one of the things that older women are to teach younger women, and it has to do with controlling your tongue. How do you keep from being a slanderer? We’ll talk more about that tomorrow. Our guest, Nancy DeMoss Wolgemuth, will be back with us. I hope you can be back as well. FamilyLife Today is a production of FamilyLife of Little Rock, Arkansas; a CruMinistry.